One of the main jobs of a financial advisor is to always remind our clients about ensuring that you are doing enough for retirement. Yes, we have said it before and so have dozens of others. Still it is quite rare when an academic survey actually looks at the real world experience* of those humble beings saving for retirement. Most surveys just look at the markets and ignore the messy reality. We also like the focus on a given percentage of income. 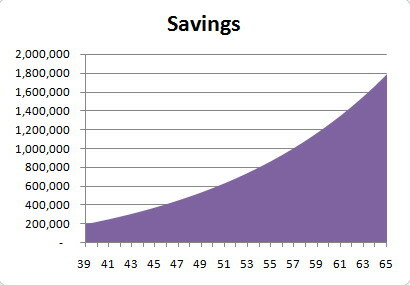 If you are saving 5% and thinking you are doing enough, you are probably wrong as the article points out. Even that is conservative. That’s even assuming that you save for 40 years, which, if you think about it, is highly unlikely. You would have to save quite a bit in your 20’s and early 30’s to be on track for retiring at 60 or even 65, and we doubt that most people, when faced with school loans, car purchase, an MBA and the costs of raising kids, would focus enough on saving in those years. You should aim for 10% and possibly even consider 12% as the Australian government has recently decided or even 25% if you are thinking about retiring early. This useful article claims 18% is a good guide. After all, these days you have many years of retirement to consider. With the advances in health care you are likely to live 25 years, possibly even more. If you don’t have significant, and we mean $200-500,000 USD by the time you reach 40, then you aren’t just behind. You are struggling and have serious catch up work to do. How much do you have? We aren’t just making up these numbers. We have created an example (see graphic) that we think will be useful for most expats in Shanghai who are wondering if they have enough. If you were to say you were 39 with $200,000 USD in savings and contributing $1,000 per month and growing your money at 6.5% per year, where would that get you? These assumptions are realistic we believe, so perhaps use this chart to see if you are on track with your own life for reaching a nice lump sum in retirement. Many people suggest that for a person presently in their early 30’s needs $3 million USD to secure a safe and secure retirement. 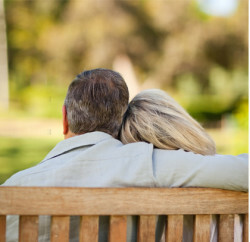 A self-funded retirement should be the goal, since governments might not have the money for large pensions in the future. Are you on track for $2-3 million? I don’t need that much! Are you kidding? My clients and prospects typically look me in the eye and say “but I’m a simple person so I don’t need much for retirement”. I’m sure they believe it, so I can’t argue. I’m sure you believe it about yourself too. People who waste money always seem to be ‘other’ people. However this is partly self-delusion. It is like this statistic. “95% of drivers believe themselves to be above average drivers.” Clearly a large number of people are kidding themselves about their driving. Are you kidding yourself about the money you need for retirement? Think about it carefully for a second. A retirement to enjoy, not endure. Ultimately only you can answer that question. Is the goal of a lifetime of work to live in poverty for 25 years? A comfortable retirement contains many things. Consider holidays, travel, gifts to children, health care costs that aren’t covered by the government. Given the direction of “personalization” of medicine, we think no system can afford to cover 100% of treatments in 20 years’ time, probably even in 10 years’ time. Feel free to tell your financial advisor and your friends that you “don’t need much”. But don’t deprive yourself of the opportunity to enjoy yourself and to be prepared, just in case. *I know this link is a little late, but you’ll forgive me that I only just came across it today.